Advice to Aspirants only one advice to aspirants is to be dedicated to your goal and do hard work then no one can stop you to achieve your goal…. About Momentum Best Institute in Jabalpur for preparation of competitive exams and having standards of institutes of Kota. Advice to Aspirants Be consistent and have a great a attitude and you will get your goal. About me Hello I have been a student of MOMENTUM in the year 2005-2008 . I have completed my B.Tech from IIT ROPAR in Electrical Engineering . Currently I am working as a software developer in Ericsson . About Momentum Expansion is important for any organization but with capacity focus should be on the capability of the organization. At this stage Goodwill is the biggest Asset Momentum has and should not be comprimised at any cost. About me I’m currently studying Electrical Engineering at IIT Kharagpur where I joined in 2010. 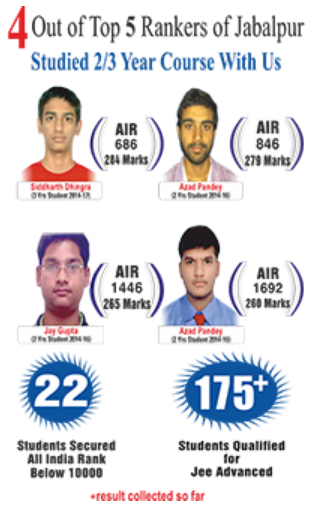 I cleared IIT JEE 2010 with an AIR 2364. Initially I opted for Manufacturing Science & Engg. under the Mechanical Dept. but later after my first year, I switched to Electrical Engg. based on my CGPA after 1st year. About me I am alumni of MOMENTUM’s 2k9 Batch Cleared my Bachelor Degree in Mining Engineering from ISM Dhanbad in this year only (2013). Got placed in Schlumberger past year & will be joining soon. About Momentum Place where I think teachers take care of you as a infant. I feel grateful to MOMENTUM for giving me an opportunity to receive lecture from one of the finest faculties in Jabalpur. I bet you won’t get better faculties anywhere else. About me Hi, I was in 2-year course of MOMENTUM from 2007-08. I did Dual Degree in Electrical Engineering from IIT Madras(2008 Batch). 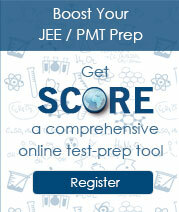 About Momentum MOMENTUM gives the right momentum for your preparation for JEE. Happened to be ideal institute for me and many others. Has expereinced and talented faculty. Advice to Aspirants Preparation is never a problem for most of the aspirants .The problem is performing on the Judgement-day where most of us don’t perform well. I think one shouldn’t pressurize oneself for being selected “only” in IIT and shouldn’t think IIT is the only option. Beleive me their are institutes at par with IIT. So, just relax and prepare and don’t worry about the final result. About me Hello..!! I am studying in IIT(bhu), branch chemical engineering (b.tech). I have completed my second year. My JEE rank was 3867 and AIEEE rank was around 1400. About Momentum Good institute for preparing JEE.. also for hindi medium students. Advice to Aspirants Work hard & in smarter way. About me I’m about to begin my second year in CSE IITR. About Momentum MOMENTUM is the best institute in JABALPUR!! Advice to Aspirants just follow what yu are asked by the MOMENTUM faculty they are highly experienced and yu will definately succeed. About me I was a student at MOMENTUM during 2006- 2007 1 yr program. I graduated from IIT Roorkee in 2011 with my B.Tech in Production and Industrial engineering. Currently I am working with Schlumberger as Field Engineer in North Sea. About Momentum MOMENTUM is one of the finest coaching institute for IIT aspirants. The foundation of the institute has been led by great teachers and over years I have seen the institute as improving and working harder. Equal attention to all students and its doubt clearing sessions are unique at MOMENTUM. Advice to Aspirants Work harder as its the hard work that pays. It’s great to study at IIT. Life is different, far more challenging and rewarding. IITs opens those numerous doors of progress for you which are hard to even dream off. About me I am presently studying CSE in IIT Kharagpur. 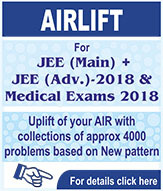 My got AIR 524 in IIT-JEE 2011. About Momentum I joined MOMENTUM’s 2 year course. It’s mainly because of MOMENTUM that i did so well in JEE. The teachers are great, They have a lot of knowledge and are also caring. About Momentum Best teachers , best guidance.Overall it is best institute of central india. Advice to Aspirants With hard-work and dedication you can achieve anything. About me People say I’ll be a Mechanical Engineer in a couple of years. All I know is they are wrong. About Momentum Has all the ingredients required to make an IITian out of a willing aspirant. Advice to Aspirants When u feel low and find yourself throwing away books, remember what u r aiming for and that its worth working so hard for. Never give up, that’s all u need apart from a bit of fun and sleep. About me Hello friend this is Sopan Khosla, Ist year undergraduate student at IIT Roorkee. i did my 12th from DPS jabalpur and got 99% in boards. I was a two-year classroom student at MOMENTUM Jabalpur. About Momentum MOMENTUM has a great role in my success in both JEE, other competitive exams and boards. The teachers are very well versed in the course content and classrooms have a healthy competitive environment. MOMENTUM has, in all aspects, given me the platform and the experience that would help me not only in my further studies but would shape my life as a whole. The teachers and the staff was very supportive to me at all times that made those two years(of stress and burden) a smooth journey. I thank MOMENTUM for helping me achieve my dreams.. Advice to Aspirants Do what your teachers tell you because they are vastly experienced in their fields. Complete the assignments regularly and take every test as if it is the final one and do not get stressed by bad marks or ranks because it is not the end. 🙂 For boards: In this matter i would like to stress on the fact that there is nothing like – complete FOCUS ON IIT or complete FOCUS ON BOARDS, because the components the concepts are almost the same. So manage both the spheres simultaneously and do not take pre-boards lightly because the are the stepping stones of preparations for the boards. Do the assignments regularly and don’t hesitate to ask the doubts. All The Best :-). About me I am B.Tech Graduate from Indian Institute Of Technology Guwahati in Chemical Engineering.Currently I am working with IITians Pace,Pune as a Chemistry faculty. About Momentum Momentum is an ideal place for IIT entrance preparation. 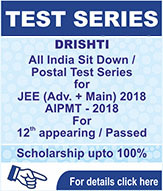 They have very experienced, dedicated and knowledgeable faculties which will guide you comprehensively throughout your course period .The study material is just perfect.Test series is very competitive which creates an ideal environment for IIT preparation. Advice to Aspirants Just have faith in yourself.You can do it. About me I am Anshul Shah. I was a 2 year Classroom Programme student at MOMENTUM. About Momentum MOMENTUM is one of the premier institute for imparting Knowledge for JEE(Advanced and Main) in Central India. Advice to Aspirants Work Hard.